Pilibhit (Hindi: पीलीभीत)(historic name: Hafizabad) is a city and a municipal board in the Pilibhit district in the Indian state of Uttar Pradesh. Pilibhit is the north-easternmost district of Bareilly division, situated in the Rohilkhand region of the sub-Himalayan Plateau belt next to foothills of Sivalik Range on the boundary of Nepal, known for the origin of river Gomati and one of the most forest-rich areas in North India. According to the Imperial Gazetteer of India, vol. 20, page 144, issued by the Government of India, Pilibhit was once known as Hafizabad, derived from the name of the great Rohella leader of the area Hafiz Rahmat Khan, but eventually it took its present name from a nearby village. Pilibhit was also known as Bansuri Nagari - the land of flutes, for making and exporting roughly 95 per cent of India's flutes. According to a report issued by the Government of India, Pilibhit is one of the Minority Concentrated Areas in India on the basis of the 2001 census data on population, socio-economic indicators and basic amenities indicators. Though separated only by a short distance from the outer ranges of the Himalayas, Pilibhit consists entirely of a level plain, containing depressions but no hills and is intersected by several streams. Pilibhit is one of the forest rich areas of Uttar Pradesh, which has very high tourism potential. The almost 54 km-long Indo-Nepal international border makes Pilibhit a highly sensitive for security purposes. According an estimate by the Government of India, Pilibhit has 45.23% of its population living under the poverty line. Increasing population and unemployment is a cause of worry in the area, and many non-governmental organisations (NGOs) and government-run organizations have initiated projects to provide employment, but human resources are yet to be exploited in full. The city came third-bottom in terms of hygiene and sanitation in a Government ranking list of 423 towns and cities in India. 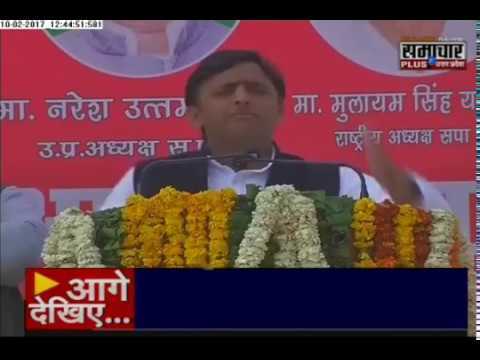 Pilibhit is a city in Pilibhit district, Uttar Pradesh, India. 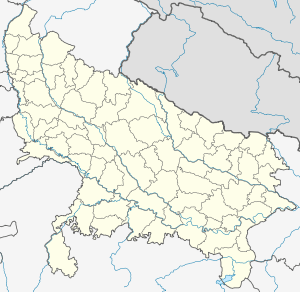 Pilibhit Assembly constituency (Hindi: पीलीभीत विधान सभा निर्वाचन क्षेत्र) is one of the 403 constituencies of the Uttar Pradesh Legislative Assembly, India. It is a part of the Pilibhit district and one of the five assembly constituencies in the Pilibhit (Lok Sabha constituency). First election in this assembly constituency was held in 1957 after the "DPACO (1956)" (delimitation order) was passed in 1956. After the "Delimitation of Parliamentary and Assembly Constituencies Order" was passed in 2008, the constituency was assigned identification number 127. Extant of Pilibhit Assembly constituency is KCs Nagar, Amaria, Jahanabad, Pilibhit MB, Gularia Bhindara NP & Jahanabad NP of Pilibhit Tehsil.